Christ alone. It seems so simple, doesn’t it? Every Christian — certainly every Lutheran — knows and believes that, don’t they? Christianity is, first and foremost, about “Jesus Christ and him crucified” (1 Cor. 2:2). And yet … how often do we forget? This April, The Lutheran Witness is focusing its attention squarely on the cross of Jesus Christ. Readers will walk with the Rev. 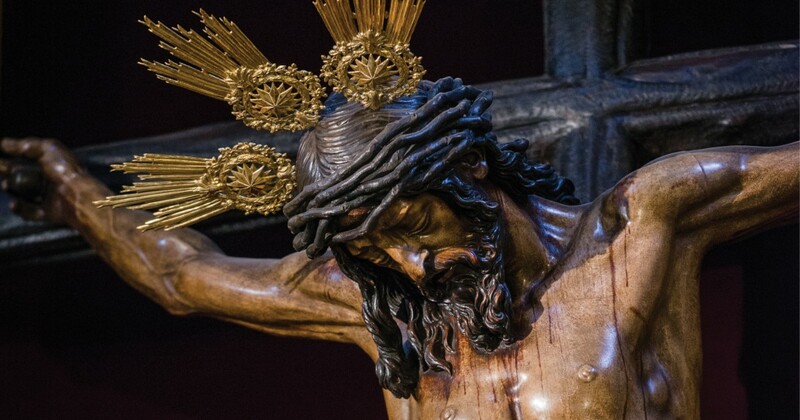 Dr. David Scaer through St. Matthew’s account of the Passion, discover new insights on the physical suffering of Jesus from Gerard Stanley Sr., M.D., and reflect on a sacred masterwork with artist Kelly Schumacher. Special highlights of this Lent/Easter issue include an in-depth examination of “apologetics under the cross” by the Rev. Dr. Michael Zeigler (newly appointed speaker for “The Lutheran Hour”) and a comic strip from the Rev. Hans Fiene (creator of “Lutheran Satire”).